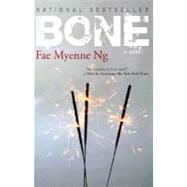 Bone, By Fae Myenne Ng..
By Chinese standards, that wasn&apos;&apos;t lucky. In Chinatown, everyone knew our story. Outsiders jerked their chins, looked at us, shook their heads. We heard things.In this profoundly moving novel, Fae Myenne Ng takes readers into the hidden heart of San Francisco&apos;&apos;s Chinatown, to the world of one family&apos;&apos;s honor, their secrets, and the lost bones of a paper father. Two generations of the Leong family live in an uneasy tension as they try to fathom the source of a brave young girl&apos;&apos;s sorrow.Oldest daughter Leila tells the story: of her sister Ona, who has ended her young, conflicted life by jumping from the roof of a Chinatown housing project; of her mother Mah, a seamstress in a garment shop run by a Chinese Elvis; of Leon, her father, a merchant seaman who ships out frequently; and the family&apos;&apos;s youngest, Nina, who has escaped to New York by working as a flight attendant. With Ona and Nina gone, it is up to Leila to lay the bones of the family&apos;&apos;s collective guilt to rest, and find some way to hope again.Fae Myenne Ng&apos;&apos;s luminous debut explores what it means to be a stranger in one&apos;&apos;s own family, a foreigner in one&apos;&apos;s own neighborhood--and whether it&apos;&apos;s possible to love a place that may never feel quite like home.